As a lover of clothes, I enjoy picking the brain of like-minded people. 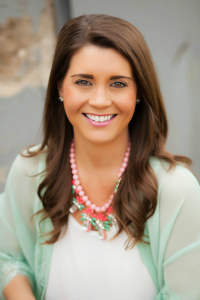 Brittany Bass is the owner of Belle Boutique and she took some time out of her busy life as mama and business owner to pass on some of her style advice plus a few favorite pieces in the shop! What are some of your style rules? Must be in-season. Must be comfortable for you. Must include a standout piece (example: shoes or jewelry or accessory of some kind) And must not break the bank to purchase UNLESS it is a good staple item! That depends on where I’m going. I always want to dress for the occasion no matter what. I feel out of place if I don’t. 🙂 But my ultimate go-to is distressed skinny jeans and an over-sized top of some kind with Converse. I’ve been super casual lately! I always prefer the basic top and bottom with cool shoes or accessories! On weekends, I spend a lot of time at dance competitions because my daughter dances. There it’s all about comfort! I love my workout leggings and a big, WARM sweater with my Nikes or Ugg boots to stay warm in the freezing rooms. To work, I prefer comfort as well. Jeans and a cute top, and a MUST-have is cute shoes. I’m in love with shoes! I always feel complete when I have on cute shoes. Dressing up is the most fun! I love a good dress with tights & booties, but a fur vest never hurt any outfit either. If it’s too chilly, leather leggings are the go-to always. Match it with a cute top and again the fur vest and booties. Of course, don’t forget your standout piece — a fun, blingy necklace is my fave. 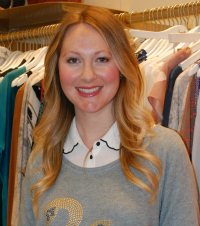 What was your vision behind opening Belle Boutique? I LOVE clothes and shopping A LOT! I have shopped and shopped and shopped for many years before opening my own store. I wanted to create a store that was for the ultimate shopper. 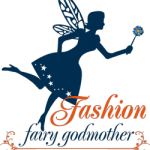 I wanted to have the trendiest fashions, BUT offering them at an affordable price is key. Anyone who knows fashion knows that it’s ever-changing. With that being said, you’re constantly buying new pieces and they need to be affordable pieces because you may only wear them a few times, possibly even just once! 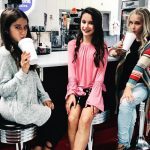 Who is the Belle Boutique girl? What are a few of your favorite pieces in store now? 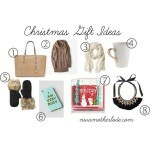 Pictured above are a few of Brittany’s current favorites in the store. Pictured from left to right are: Isn’t It Lovely Cardigan Sweater; Spot It Out Sweater; Time to Snuggle Scarf (in green); In and Between Dress; Life of the Party Leggings. What shopping advice would give to other women? If you see it and really like it, chances are you are not gonna be happy until you have it, so you may as well get it. If you’re shopping at Belle, you’re going to get the best price on it, so that makes the purchase okay! 🙂 I’m not an over-thinker-shopper at all. I either like it or don’t, so this is easy for me. BUT if it is a pricey purchase, I always check around just to be sure everyone is carrying it at a similar price before I buy, but typically anything name-branded like that is. And now that you think Brittany is as fabulous as her little shop(s), you can get extra excited about Small Business Saturday. This Saturday, November 28th, people are showing their love for small businesses by shopping small. And just to motivate you a little more, Belle Boutique will be continuing their black Friday specials through Saturday. That includes buy one get one 50% off all denim and 40% off shoes, just to name a few. Sounds like the perfect opportunity to apply some of Brittany’s tips. Happy shopping! Note from the Mamas: If it’s tough for you to shop in person because you’re short on time or have little ones in tow, Belle Boutique has an awesome online store with tons of options. They also have stores in Fayetteville, Rogers, and two locations in Bentonville. 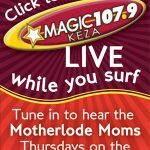 Mamas on Magic 107.9 on … Friday this week!